Elizabeth Levesque is an artist from Norfolk VA who is married to another artist (who I'll do a post on next) that was also exhibited in the Contemporary Art Center in Virginia Beach. She is a painter/web designer/crafts artist who has been in exhibitions across the country. This is Elizabeth Levesque's website, that has links to her blog and more info about her. 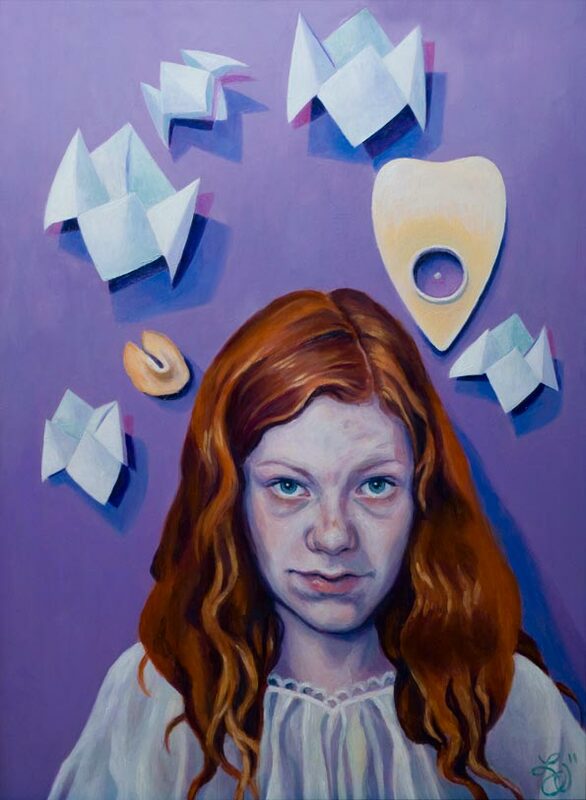 What attracted me to her work is her theme of the mystic and things that people use for fortune telling. 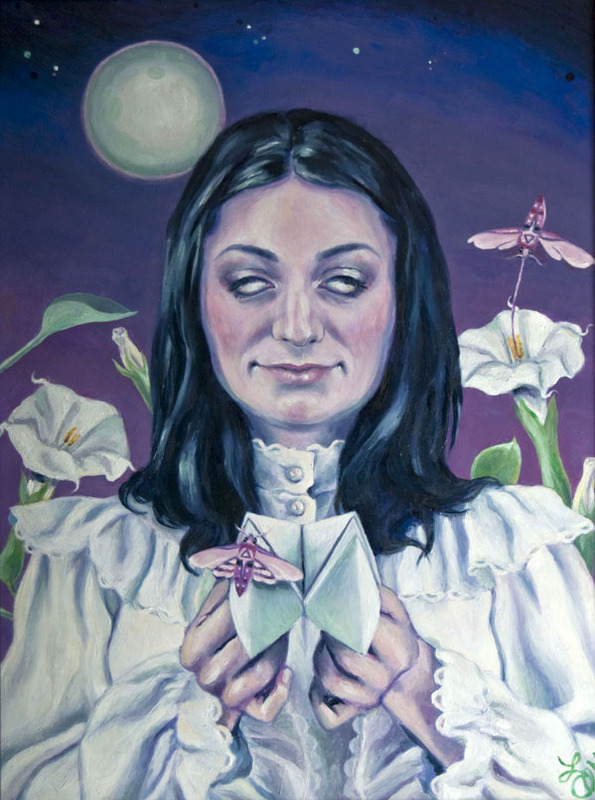 Elizabeth Levesque uses these themes in her paintings because as a child she remembered playing with the Ouija board with her friends and trying to contact ghosts. 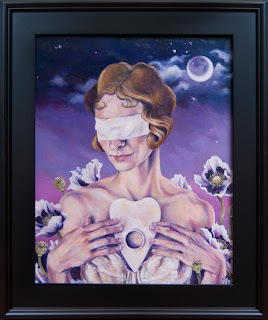 She uses the planchette as a symbol in her works for this reason. I really love the style and ethereal feel of her paintings. I also love the fortune telling theme, because I think that even if people don't believe in those tools they are greatly used and enjoyed by many. The images pictured are all from her website.